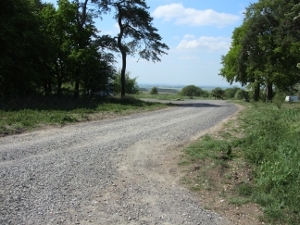 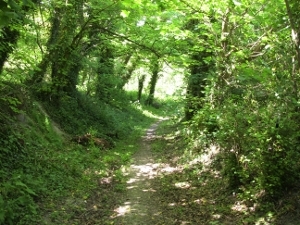 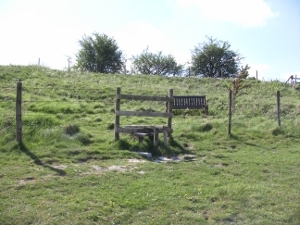 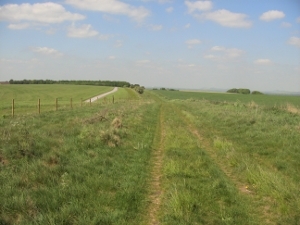 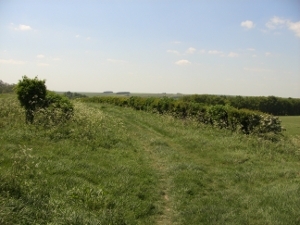 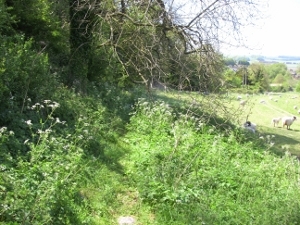 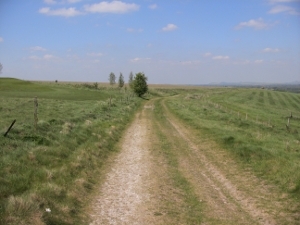 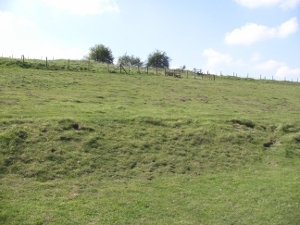 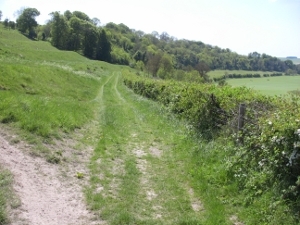 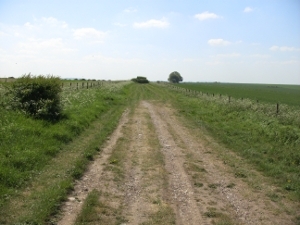 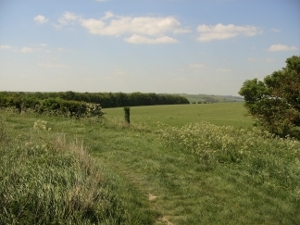 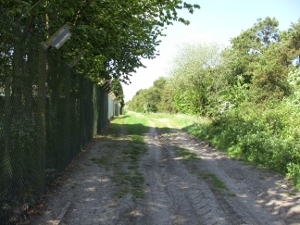 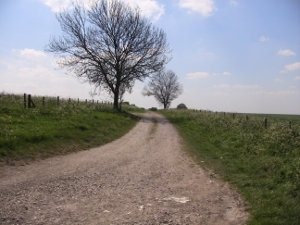 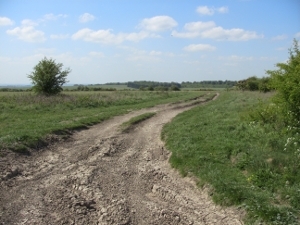 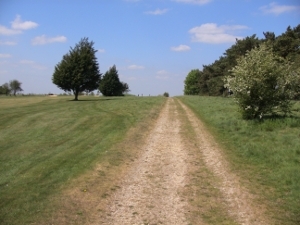 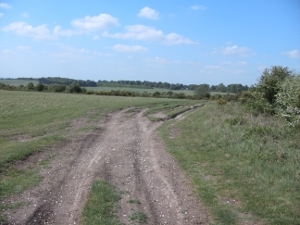 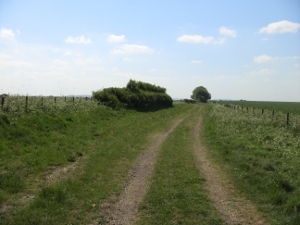 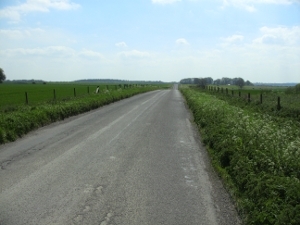 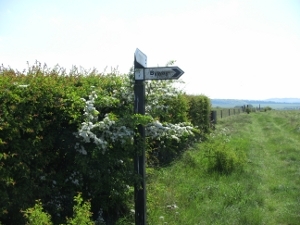 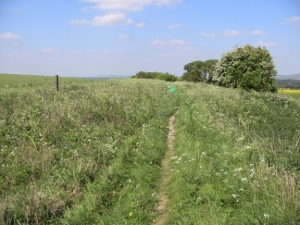 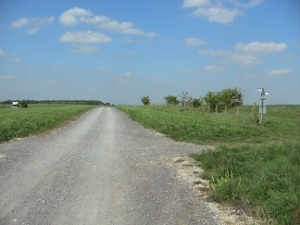 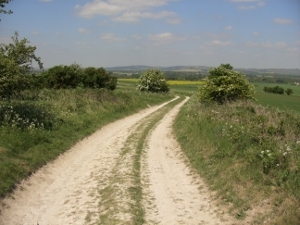 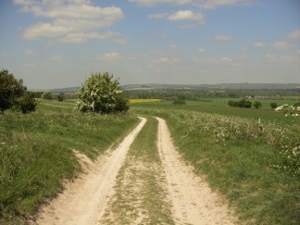 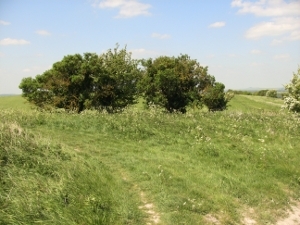 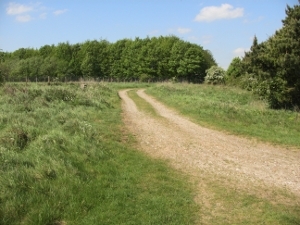 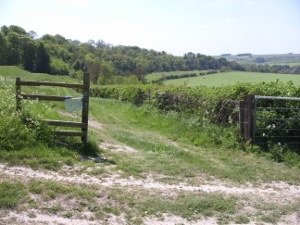 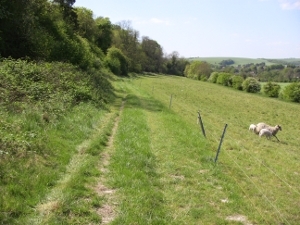 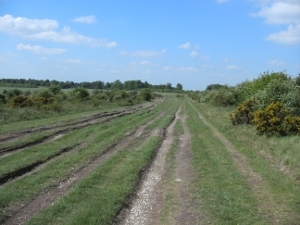 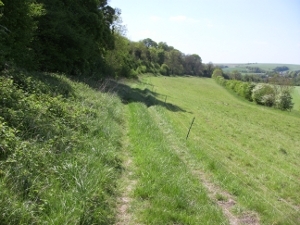 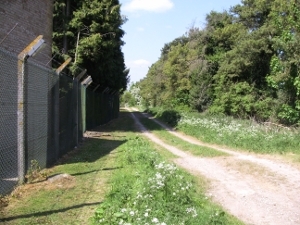 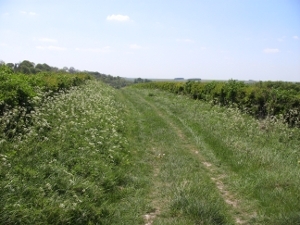 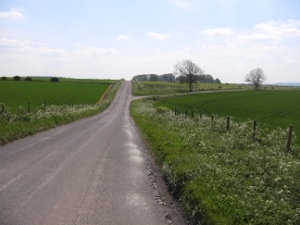 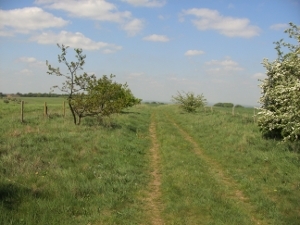 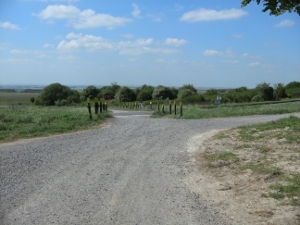 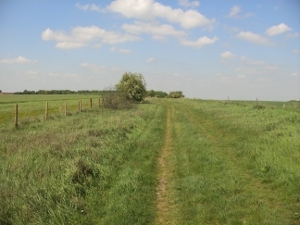 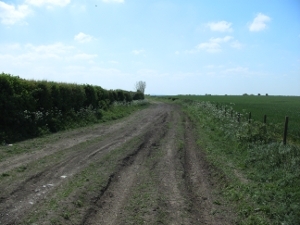 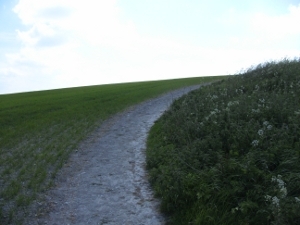 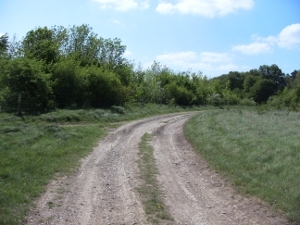 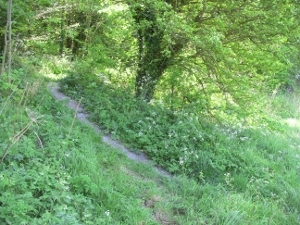 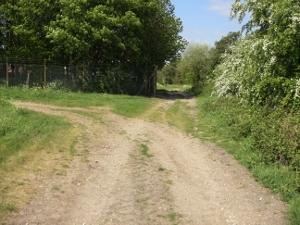 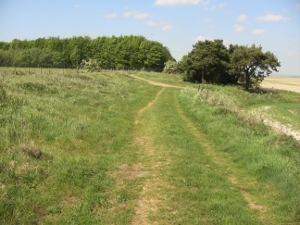 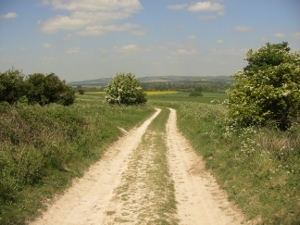 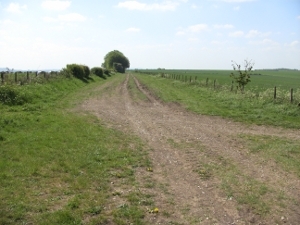 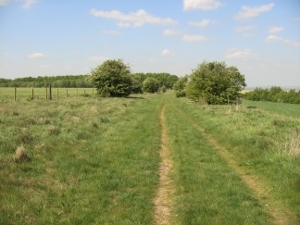 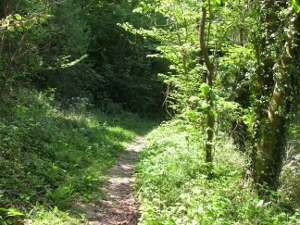 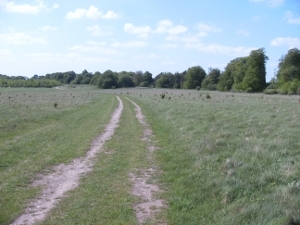 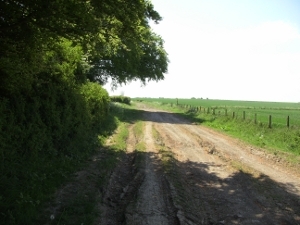 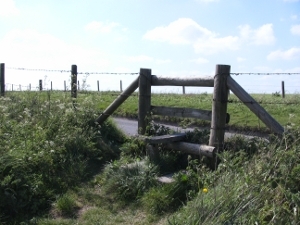 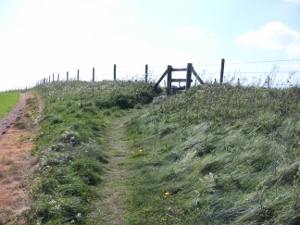 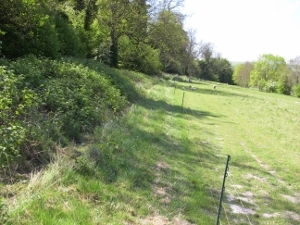 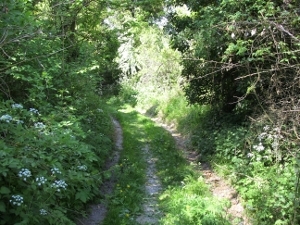 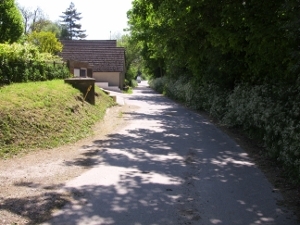 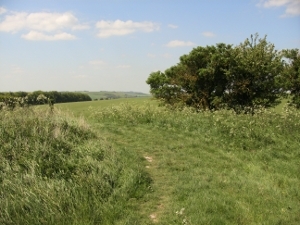 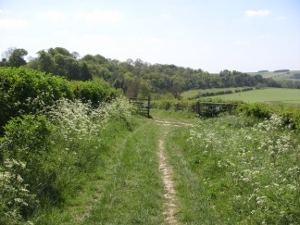 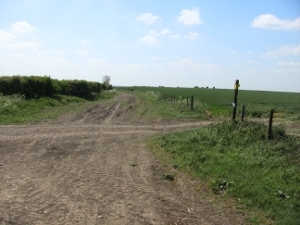 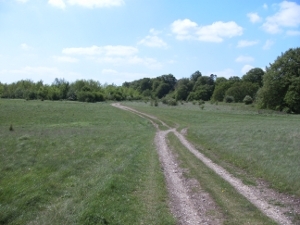 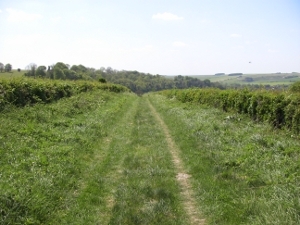 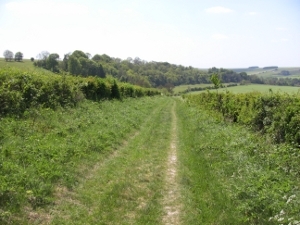 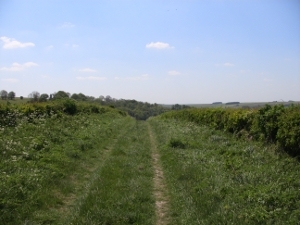 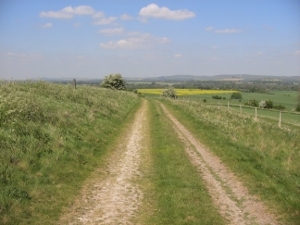 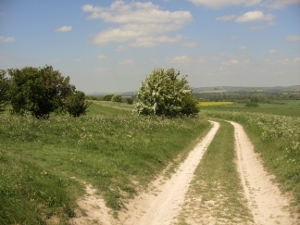 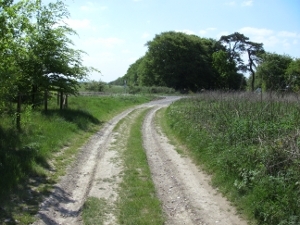 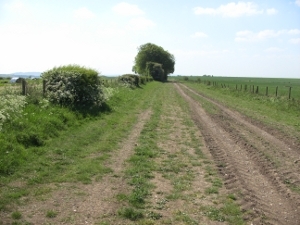 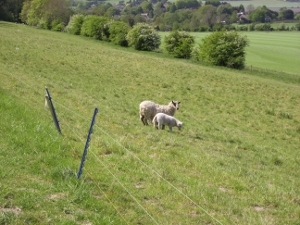 The route is mainly along Bridleways and Byways. 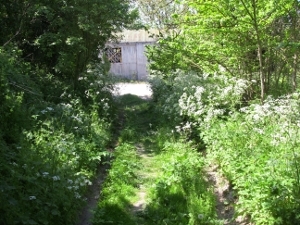 Car Parking. 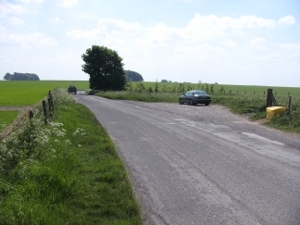 There is no recommended parking place at the start of this stage but it should be possible to park in any of the nearby streets. 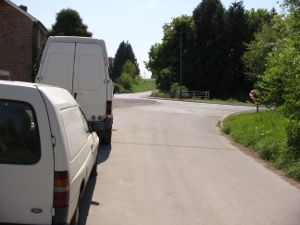 Don't park on any of the double yellow lines. 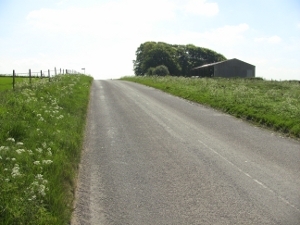 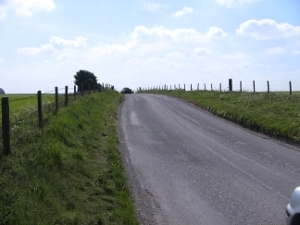 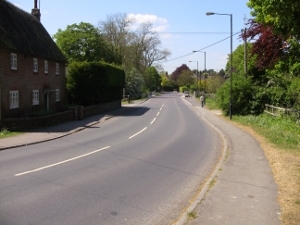 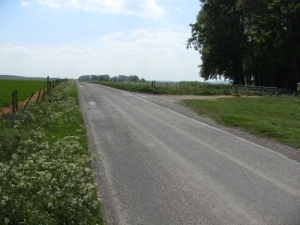 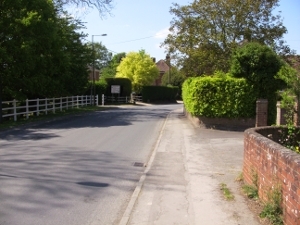 Run down the road towards Southcott. 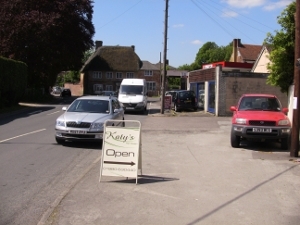 vehicles but still had pedestrian access. 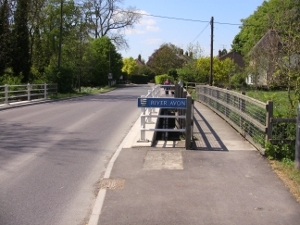 you will see a bridge ahead. 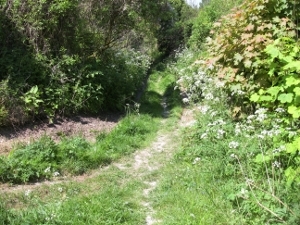 Do not take the bridleway under the bridge. 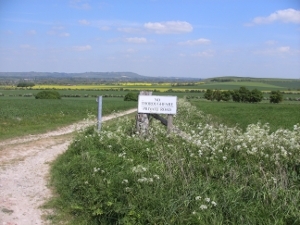 You can see the White Horse on the hill from here. 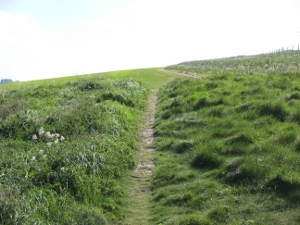 to the top of the White Horse. 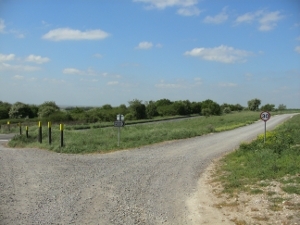 Those who have run the Terminator will recognize this spot. 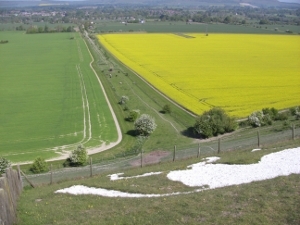 ... looking back, over the White Horse. 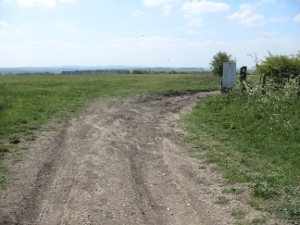 and obey the marshals' instructions. 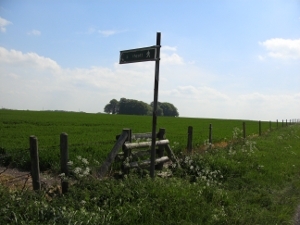 past this sign (and stile) on the left. 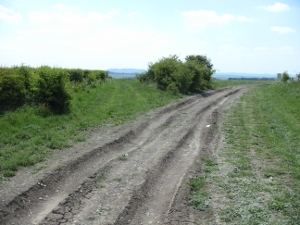 that it is safe, by a marshal. 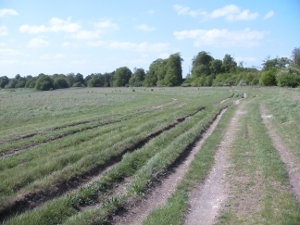 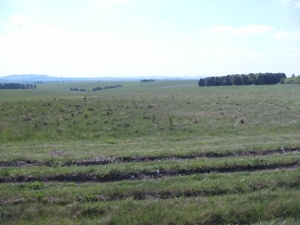 past the fields of pigs on the left. 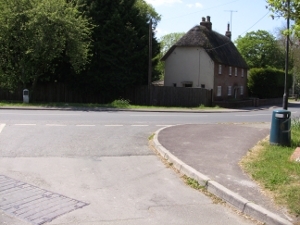 until you come to a junction. 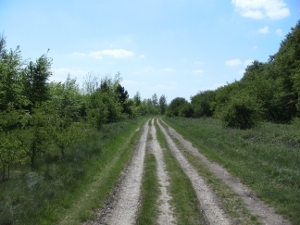 The main track bears left, but keep straight ahead. 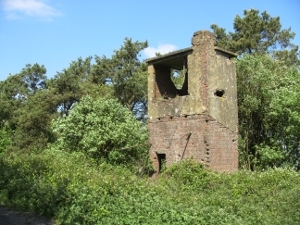 On your left you will see a small derelict tower. 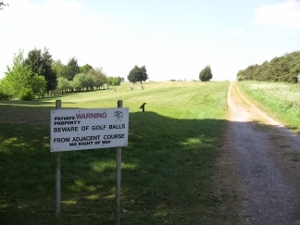 you come to a golf course. 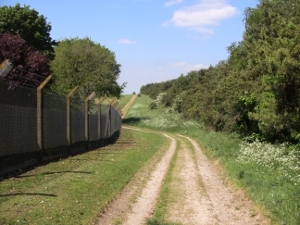 If you saw these go back, it's not far. 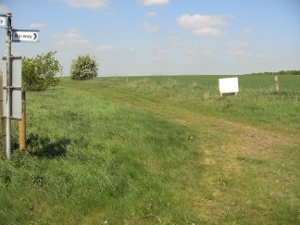 grasing on the field to the right. 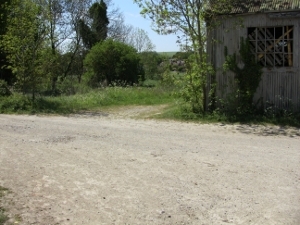 until you see a building in front of you. 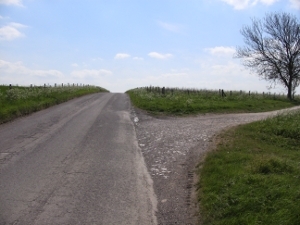 Turn left here on to Vicarage Road.